Remember this concept? It was briefly considered for production. Chris Theodore is the product genius who led the design and engineer teams for some pretty amazing cars, including the Dodge Viper, Plymouth Prowler and the 2004 Ford GT. It was also during his time at Ford that he was put in charge of the Shelby Cobra concept project, sort of a retro-ish modern interpretation of Carroll Shelby’s famous 1960s V8-powered AC Cobras. And now Theodore has just bought his creation at an auction, according to Automotive News. “It’s a dream come true,” said Theodore. “it’s one of the last cars I worked on at Ford.” The exact amount of Theodore’s winning bid wasn’t announced, but the proceeds of the charity auction will go towards the restoration of Henry and Clara Ford’s estate, Fair Lane. The V10-powered Shelby Cobra Concept never made it to production, obviously, but it was still engineered to actually drive. It had a working engine, drivetrain and everything else required. 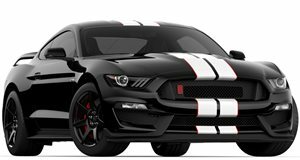 Ford did consider a limited production run but ultimately decided against it, opting instead to put all of the Shelby focus on the Mustang. Theodore says he’s planning to get the Shelby Cobra concept roadworthy, though it still can’t be registered. It’ll become part of his personal collection which will also very appropriately include a classic Cobra that’s currently being restored. Theodore also said the concept is "in beautiful condition and it has been very well taken care of." This really isn't too surprising because Ford, like many other automakers, retains some of its past concepts for display purposes. Every now and then it's time to clean out the garage, hence this Shelby Cobra concept's auction.